Beet pulp is the fibrous material that’s left over after the vast majority of sugar is taken out of sugar beets. This byproduct of sugar beet processing is an excellent digestible fiber supplement for horses and is a smart addition to almost any horse’s diet. In this article, we discuss the many pros and few cons you may encounter when you add beet pulp to your horse’s diet. Read on to learn more. 2 How Do You Soak Beet Pulp? 3 Will Horses Eat Beet Pulp By Itself? Beet pulp is affordable, readily available and easy to store. In situations where hay is hard to find and/or pasture and hay are limited, beet pulp is a superior source of roughage. Mixed in with the horse’s feed along with grass pellets (e.g. Timothy pellets or alfalfa pellets) beet pulp is nutritious, a concentrated source of calories and a high quality form of fiber. Beet pulp is a good choice for senior horses and at-risk horses. It can help meet any horse’s forage needs and is an excellent choice for horses who have bad teeth, are older and may have trouble chewing and also for horses who have respiratory problems (e.g. heaves). Beet pulp shreds are low sugar. Because most of the sugar has been removed from beet pulp, it is a safe choice for horses who suffer from Cushing’s disease and/or insulin resistance, laminitis and other conditions that may be triggered by ingesting sugar. Beet pulp helps keep weight on horses. Feeding beet pulp is a good way to provide extra calories without adding a lot of starch and sugar to a horse’s diet, so it is a good choice for horse’s who have trouble keeping weight on. It can add extra calories and nutrition without risking sugar spikes that may lead to laminitis. A little handling care may be necessary. Dry beet pulp shreds can be dusty and unpleasant to handle. You may need to wear a dust guard and gloves when you measure it. Preparing beet pulp takes a little planning. It’s necessary to soak beet pulp for at least 30 minutes before feeding it to your horse. Otherwise it may be too dusty to be palatable. Also, dry beet pulp would be very difficult to chew and could cause choking or intestinal blockage. You need to be aware of whether or not the product you purchase contains molasses. Beet pulp pellets are treated with molasses for palatability and to reduce its dustiness. If you have trouble finding beet pulp shreds (which are typically not treated with molasses) you can remove most of the molasses by soaking your beet pulp pellets in a slightly excessive amount of water and then draining off the water before presenting it to your horse. You need to be careful not to let your horse get too much calcium. In addition to adding fiber to a horse’s diet, beet pulp also adds calcium. In some cases, it can add too much calcium and precautions must be taken. 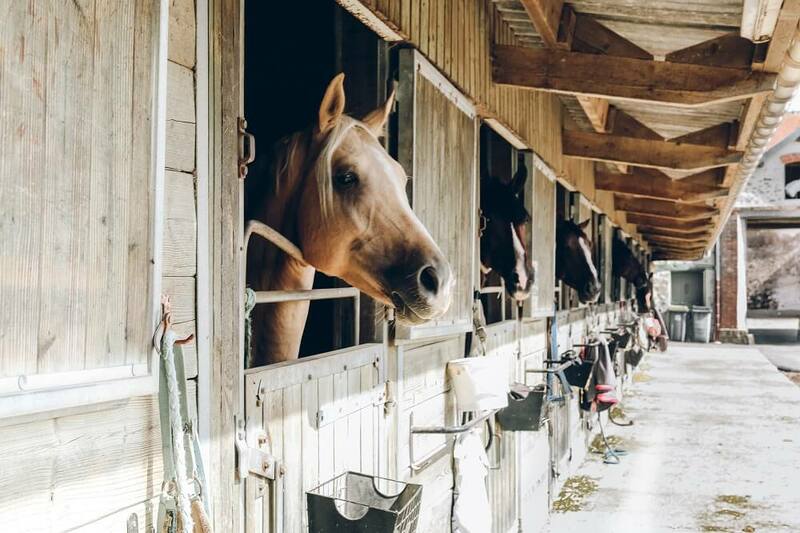 Excessive calcium consumption can cause kidney stones in old horses, enteroliths (“stones” in the colon) in mature horses and developmental problems for younger horses. Because beet pulp does provide a lot of calcium, you should not use it to replace more than 50% of your horse’s roughage needs. If you have no access to hay, provide your horse’s roughage with 50% beet pulp and 50% Timothy pellets. For some horses, alfalfa pellets may be introduced; however, alfalfa is a fairly hot feed and may cause behavioral problems and/or problems with laminitis. How Do You Soak Beet Pulp? Start with a clean bucket. Measure the amount of dry beet pulp you want into the bucket and add twice that amount of hot water. Allow the mixture to stand for at least half an hour before you feed it. If you must use cold water, you’ll need to allow the mixture to stand for a full hour before presenting it to your horse. Don’t allow beet pulp to soak for longer than an hour or two. This is especially true when temperatures are high. If you soak it for too long, it may begin to ferment and this is bad for your horse. Will Horses Eat Beet Pulp By Itself? Some horses love to eat soaked beet pulp all on its own. Other horses will turn their noses up at it. An easy way to add beet pulp to your horse’s ration is to simply mix it in with your horse‘s grain. Most horses will readily accept beet pulp added to their grain mixture. As with any other change in your horse’s diet, start out by adding small amounts of soaked beet pulp daily. 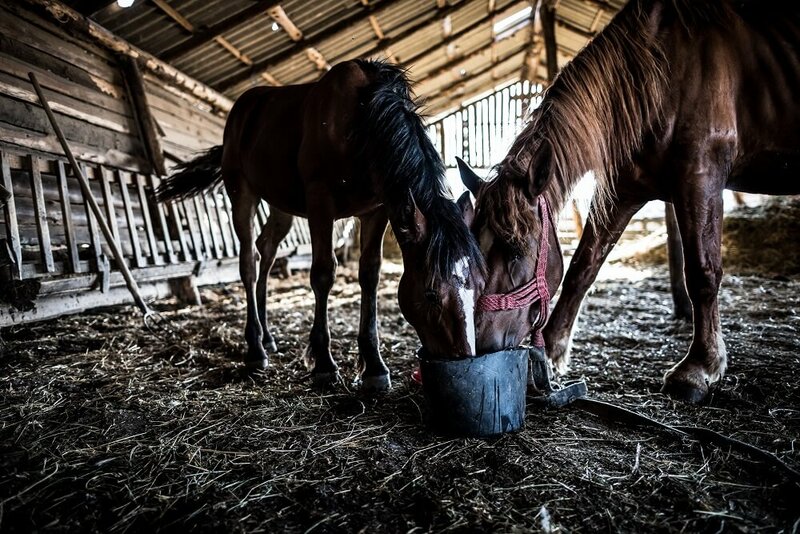 Increase the amount added gradually over a period of two weeks until you are feeding your horse the ideal amount recommended on packaging instructions and/or by your veterinarian.